Following in her aunt’s footsteps, J. Nan Davis has dedicated her career to advancing the field of health care. She started as a staff nurse and a charge nurse of orthopedics at New Hanover Memorial Hospital in 1978, and rapidly progressed from there. 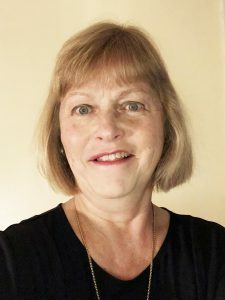 By 1980, she was a public health nurse I, II, and III at the New Hanover County Department of Health, and by 1983, she was an emergency room staff nurse, relief charge nurse and instructor of CPR at New Hanover Memorial Hospital. Ms. Davis then became a nurse coordinator of the Student Health and Wellness Center through Wilmington Health Associates at the University of North Carolina, and a project manager, clinical research associate, training specialist, and quality assurance specialist at Pharmaceutical Product Development, LLC. She has been a quality assurance manager with the company since 1992. Ms. Davis prepared for her endeavors by earning a Bachelor of Arts in English and an Associate of Arts in nursing at the University of North Carolina Wilmington in 1999 and 1978, respectively. She also earned certification as a CPR instructor and emergency medical technician. Looking to the future, Ms. Davis intends to mentor the younger generations. She hopes to be remembered for her willingness and desire to help others. If she could offer some advice to nursing students, it would be to work hard and to put in the necessary time. If she could offer some advice to pharmaceutical students, it would be to have flexibility and to be willing to do things outside of the cookie cutter method. Ms. Davis’ achievements have been highlighted in two editions of Who’s Who in American Nursing and one each of Who’s Who of American Women and Who’s Who of Emerging Leaders in America.